40mm bicolor steel & yellow gold PVD 2N case, silver dial, bicolor steel & yellow gold PVD 2N bracelet, Swiss movement. 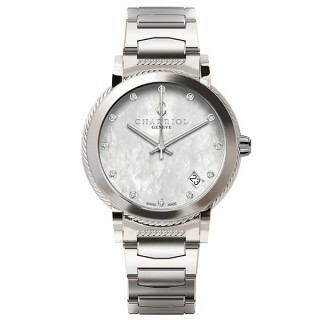 With a chic silver-tone dial, this PARISII watch will transport you to the City of Light. 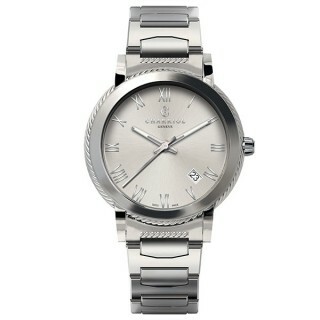 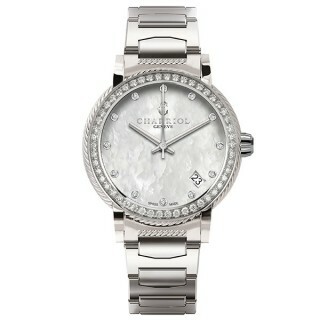 Inspired by Paris - the City of Light - this stylish Swiss-made quartz watch will add a dash of chic luxe to any outfit. 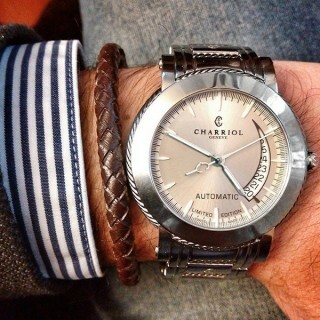 A Charriol design through and through, this modern classic features a fine cable motif encircling the slimline bezel. 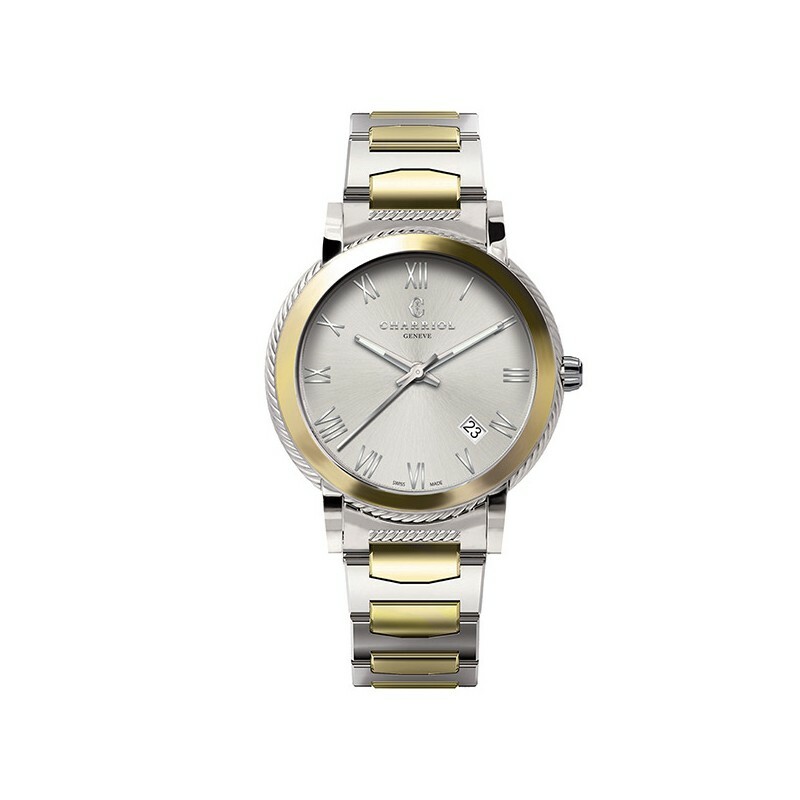 Sleek, elegant and bold, it is crafted in stainless steel and yellow gold plating with a silver dial and a chunky bracelet strap. A sophisticated and masculine timepiece, full of Parisian joie de vivre.